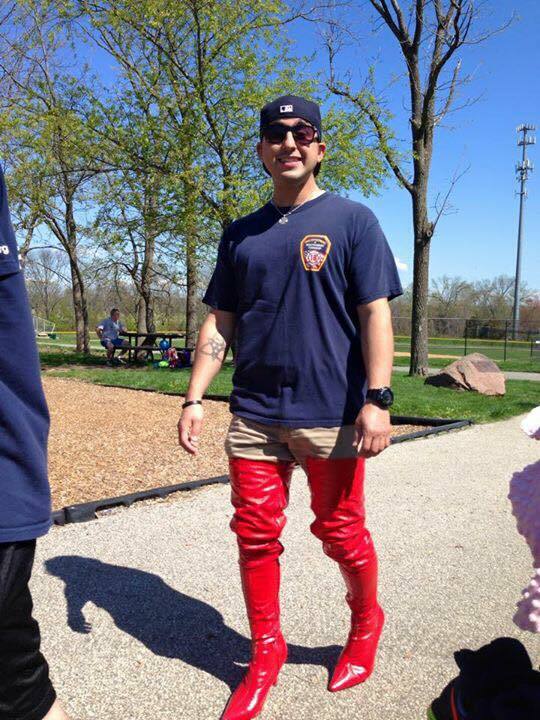 Could you walk a mile in her shoes? OK … Let’s get this out there right away. I was ill prepared for the challenge. I was there – volunteering – with an entirely different task set. I’m not sure I could or would want to. There it is. My expansive list of extremely relevant factors restricting my participation. The event was the “Walk a Mile in Her Shoes” event sponsored by the Laurel House in Norristown, PA. I was there as a favor to a dedicated instructor and had no idea what the event was about. We were there to help out with traffic flow and parking for an event at Heebner Park in Worchester, PA.
Laurel House advocates for and empowers those impacted by domestic violence by providing crisis intervention, safe haven, supportive programs and resources. They also work to advance social change through preventative education and through community training and collaboration to foster a coordinated response to domestic abuse. Apparently, this women’s shelter was a huge favorite of one of my Citizens Police Academy instructors. So when he mentioned he was looking for volunteers for a few hours on a Saturday morning, I enlisted. But it wasn’t until I got there Saturday morning that I saw the red high heels. At first it didn’t click … That was until I saw the one guy get out of his car in a badly fit red cocktail dress and shiny red, thigh high, 4-inch heel boots. No way, I thought. Gotta see this! After two and half hours of Acting Enforcer of Ingress and Parking Privilege, I headed over to the event to watch the antics. A mile … in ill-fitting high heels … Some of these guys were running in them. Some just trying to run until realizing there is no way to walk in them let alone run. How women walk around in those things, I know not. It was funny. It was absurd … some guys simply shouldn’t even try. But it was also very cool to see some men getting the seriousness of the problem and doing what they could to help out. Each participant collected pledges to be donated if they completed the mile. With 25% of all women experiencing domestic violence at some point in their life, you have to wonder. I’ve been lucky … I think. 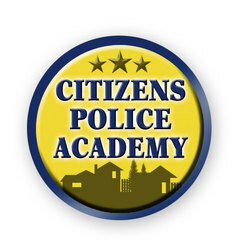 Our last full session of the Hatboro and Horsham Citizens Police Academy was held on April 8. 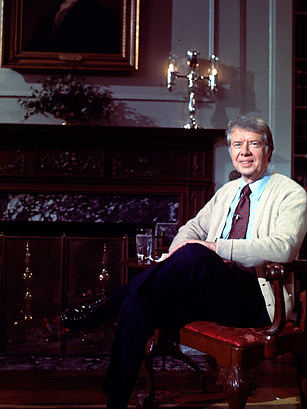 The topics were Special Weapons and Tactics (SWAT) squads and the skillful discipline of hostage negotiation. The SWAT concept was born out of a range of incidents that occurred in the late 1960s. Incidents like the University of Texas clock tower sniper and the riots that followed the murder of Martin Luther King, Jr. dramatically highlighted the need for teams of law enforcement officers trained specifically in more skillful and specific methods of resolving complex crises. The clock tower sniper shootings occurred over just an 80-minutes,16 people were killed, 32 wounded in a systematic attack launched from a strategically difficult to suppress firing position. It wasn’t resolved until three police officers took matters into their own hands. 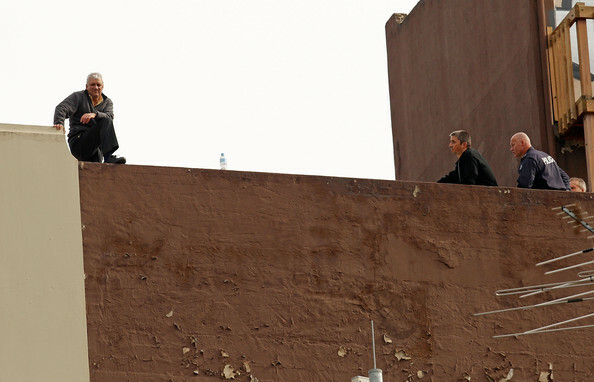 Accompanied by a civilian, they arrived on the balcony hiding the sniper’s 27 stories above the university mall. These officers had no specific tactical training for the event or anything similar to what present day SWAT team members receive. They had no special weapons, using their normal service weapons, a rifle and shotgun. They were successful primarily because the civilian accidentally fired the rifle he was carrying, which distracted Charles Whitman, the U.S. Marine-trained sniper, as two officers approached his sniper’s nest from the other direction. The evening started with a demo room incursion by members of the Eastern Montgomery County SWAT. Eastern Montgomery County SWAT (EMCSWAT) was formed in 1989 and currently holds responsibility for the communities of Hatboro, Horsham, Rockledge, Upper Moreland, Lower Moreland, Bryn Athyn and Jenkintown. 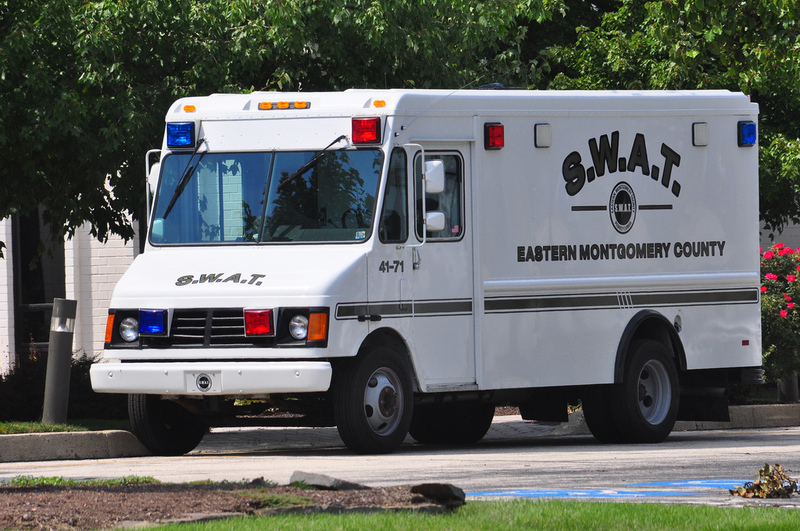 There are plans to incorporate the SWAT teams and areas of responsibility for Abington and Cheltenham with EMCSWAT to form Montgomery County SWAT East. 17,000 police departments in the U.S.
EMCSWAT averages 1 assignment per month, and has had just ONE INCIDENT where shots were fired! 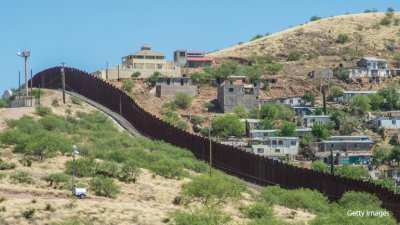 Inner perimeter: containment of immediate hostile environment, relay close-in intelligence to Command, ready to control or neutralize threat in any attempt to escape containment or in hostile action. 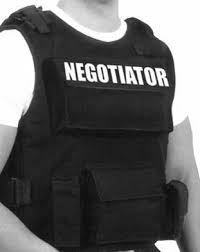 Negotiator: Sole contact with person-of-interest (POI). Works to calm subject and control situation. Relies on available intelligence to decipher situation looking for a “hook” that will appeal to the subject and resolve the standoff. Stationed away from immediate scene. Emergency Action Team: Prepares for “hot” entry without a plan should situation suddenly change requiring quick entry action. 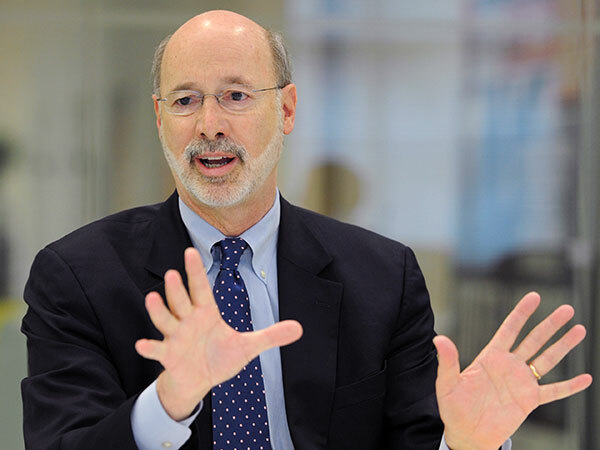 Pennsylvania prohibits negotiators from recording Negotiator-POI communications unless a warrant is obtained. The most interesting insight was the expression of what a successful SWAT intervention consists: no shooting, no assault, no injuries, and the peaceful resolution of the immediate situation. Another interesting perspective was the answer to the question often asked these days about the “militarization” of police departments. The point was straightforward and one with which it is hard to argue. The most successful SWAT operations occur when the POI sees scores of cops, some dressed in a full complement military gear. They see the vast array of equipment and perhaps the sounds of a helicopter overhead. And they decide the most reasonable course of action is to walk out of the building – empty-handed – to be taken into custody safely. Shock and awe might be the cop’s best friend! The second half of the session addressed hostage and standoff negotiations, where the first choice of law enforcement is – once again – the peaceful resolution of the most easily inflamed situations. The presentation was given by retiring Detective Dave Bussenger, a former negotiator who stepped aside to ensure experienced negotiators were developed before he left the force to retire. Bussenger’s presentation, rich in personal experience and the insight gained through years of being the #1 Negotiator, made you want to pay close attention. His most surprising tidbit was his belief that the movie Dog Day Afternoon (Al Pacino, John Cazale) was perhaps the best portrayal of what an actual negotiation situation is really like. Detective Bussenger confided that what drove him to be successful in his negotiations was to consider the consequences of failure … the lives affected on both sides if a subject could not be talked out peaceably. He allowed that one of the most important skills he had as a negotiator was the ability to understand what a subject was feeling and experiencing during a standoff. He allowed that the BEST thing he could hear from a barricaded criminal was a set of demands, no matter how bizarre or impractical. The reason? It indicated that the ensnared individual WANTED to live because they had a plan for surviving. The worst scenarios were those where the individual had hostages trapped with him that he knew intimately (spouses, parents, siblings, friends) yet made no demands for resolving the standoff. This characterized an expressive form of behavior that set a red flag for the negotiator. Many are suffering from psychological issues like severe depression or chemical imbalances or inappropriate emotional responses. These situations hold the greatest potential for suicide. A successful negotiator insists from the very beginning that the subject must come out; he can never lie to the subject; never say “no”; and must be able to empathize with the subject’s perspective. And in cases where suicide is a possibility, the negotiator must be able to stress the stark realities of taking such action versus the other positive options and outcomes available. The first 15-45 minutes of any potential standoff situation is the most important. 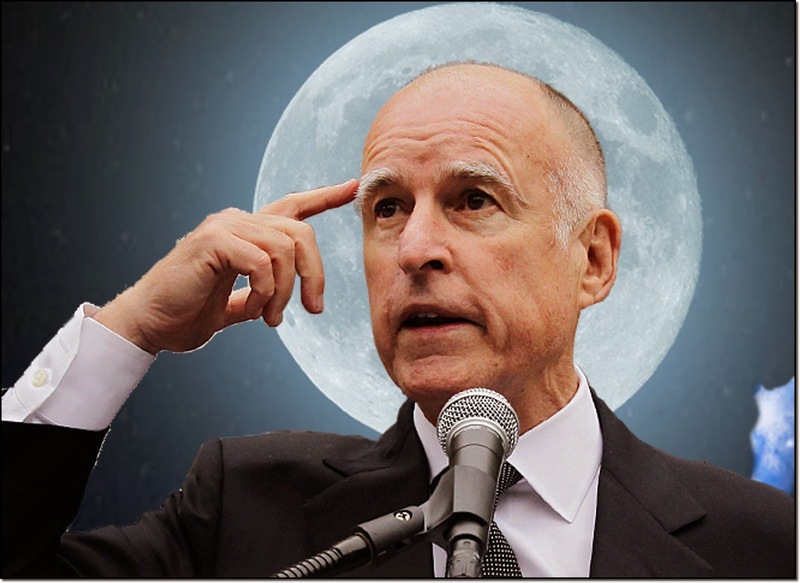 In cases where mental instability is present the negotiator can never indulge in the subject’s hallucinations, less he set himself up to caught in a lie and destroying all trust. Negotiating teams generally include 4-10 individuals. The primary negotiator will conduct all direct contact with the POI. A support negotiator takes note of all communications and assists the primary in tracking progress and keeping tabs on details. In the meantime an Intelligence component of the group will speak to family and friends in an attempt to glean pertinent information and discover a “hook” which can be used to bring a standoff to a successful conclusion. 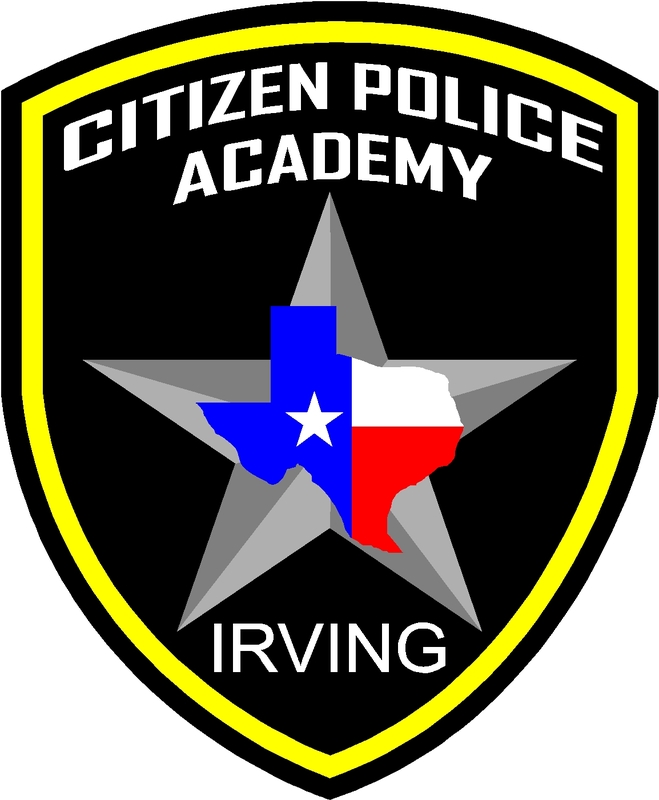 When you attend your local Citizens Police Academy – and you should – you will learn a lot about the mundane and terrifying aspects of being in law enforcement. Much if it is interesting, some of it only in the sense of appreciating a difficult job. But some of what you will learn can be fascinating. And that was the case when retired FBI Agent Jeffrey Tomlinson stood in front of us to address the topic of Anti-Terrorism as a law enforcement function. 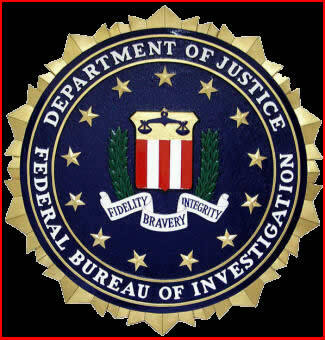 Mr. Tomlinson spent 20 years in the FBI, beginning in 1990. He was a local kid, who attended William Tenet High School and graduated from West Chester University. In a unique twist. 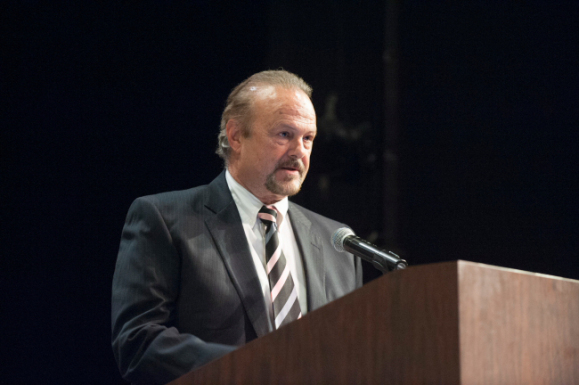 Tomlinson followed up 20 years of FBI service by giving back to local communities, as Safety Director for the Hatboro-Horsham School District and as a patrol officer in Hulmeville Borough, Bucks County! He currently teaches Law Enforcement Management and Terrorism at DeSales University, where he earned his Masters Degree in Criminal Justice. His first assignments took him to New York City, working organized crime. He was part of the FBI team that investigated the first attack on the World Trade Center in 1993. In 1998 he was transferred to Philadelphia, where he worked anti-terrorism. On September 11, 2001 he was – bizarrely enough – one of many law enforcement types attending an anti-terrorism workshop in Quantico, Virginia. The largest confrontation seen today is that between those opposing brands of Islam and their attempts to dominate the Muslim world through competing caliphates. Currently, the Shia sects, aligned with Iran are pushing to control and confine the Sunni attempts to establish a caliphate in Syria and Iraq. This has led to much violence between Islamic sects as opposed to conflicts between Islam and the outside world. Of particular consequence is the recent declaration of a caliphate that challenges Iran’s ruling clergy’s very purposeful march to establish their own. One that could someday occupy the lands from the Arabian Sea, through the entirety of Iran through Iraq and Syria to the Mediterranean Sea. This becomes more dangerous when one also considers the recent advances of the Houthis, another Shia sect, in Yemen. A quick look at the map presents a picture of Saudi Arabia, home of the Sunni religion and its most precious religious sites, surrounded on three sides by Shia interests. This development gives perspective to recent Saudi military action against the Houthis in Yemen. Obviously, the Saudis are very concerned with the advance of Shia interests. Mr. Tomlinson then took a look at how the U.S. became one of the favorite targets of Islamic extremism leading up the disastrous attacks of September 11, 2001. I found this portion of the presentation most interesting, though most of the information was quite familiar to me. 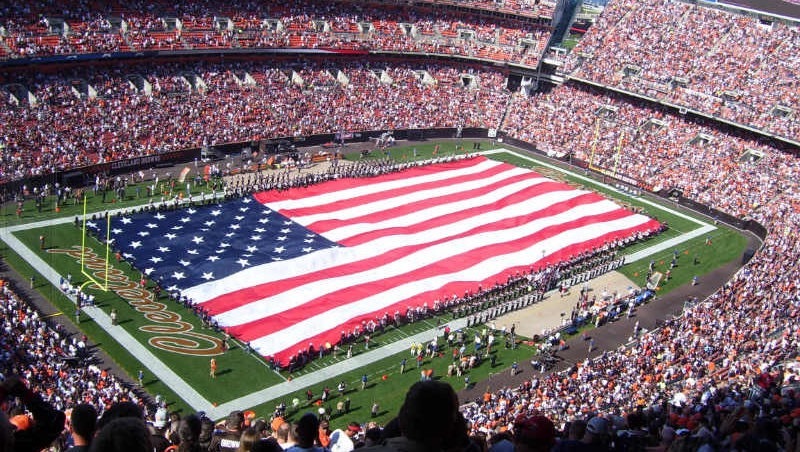 As one who was present in NYC for the 1993 attack on the World Trade Center, Tomlinson related how the 1990 Iraq invasion on Kuwait led to Osama bin Laden’s crusade against America. This had always baffled me, how the U.S. went from friend of the insurgents fighting the Russians in Afghanistan to “infidels” despoiling the holy lands of Saudi Arabia in our allied defense of the Saudis from Saddam Hussein, a fellow Sunni. When I read The Looming Towers, I learned how the U.S. became The Great Satan. Itself a transformation of Islam’s portrayal of the Soviets as such in an attempt to consolidate Islamic forces and foment their return as a global power. From here the discussion turned to the different approaches to terror taken by consecutive U.S. administrations. After the ’93 WTC attack, the Clinton Administration viewed terror as a crime, where law enforcement efforts were considered the primary response. Find the bad guys and bring them to justice. After the 9/11 attacks, the Bush Administration sought a military response, which was not surprising, given the immensity of the attacks and the fact that a nation-state could be closely linked to a terror presence in Afghanistan. From a counter-intelligence angle, I found the discussion of how our domestic law enforcement agencies attempt to penetrate local cultural concentrations and organizations to be very interesting. 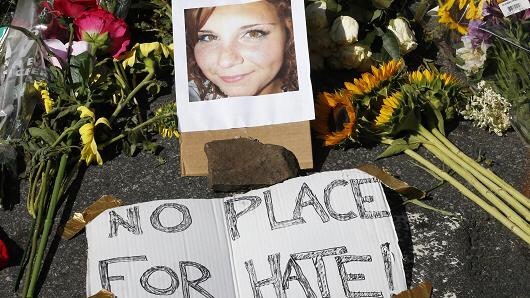 Much of this discussion concerned the use of profiling in identifying terrorists coming into the country, as well as those already living here, who may be predisposed to joining terror organizations or acting as lone wolf attackers. As bad a rap that profiling receives when it comes to everyday criminal activity, it is crucial in disrupting potential attacks from within. How suspicious did the Tsarnaevs look before the Boston Marathon bombing? Profiling looks at what they look like – demographically not racially (for example, 2nd generation immigrants or restless youth), where do they come from, recent travels, predisposition to extremism, etc. This brought to light several keen observations, such as the large concentration of 2nd generation Palestinians in Northeast Philadelphia or the size of the Syrian community (3rd largest in the U.S. though mostly Christian) in Allentown. Being aware of such demographics allows law enforcement to identify potential problem areas – terrorism wise – and community sources of intelligence. This led to an interesting discussion of how counter-terrorism (prevention and disruption) efforts gain access to local community groups and individuals who would be distrusting of law enforcement encroachments or who might simply be scared of potential community backlash. Terrorist actors, if active locally, will be ensconced to a degree within the anonymity of what otherwise could be a perfectly law-biding cultural community. The problem of course is that most law enforcement types will stick out like a sore thumb in most such cultural communities. The secret to finding them; collecting necessary intelligence; and infiltrating or arresting them is to penetrate the community and develop reliable sources (e.g. confidential informants) that will keep an ear to ground for trouble. Investigators most work from the outside in. One method for counter-terrorism investigators uses outstanding “wants and warrants” for individuals that might fit the profile of potential threat. These warrants are prioritized within the cooperating law enforcement network; and an C-I agent might request to go along on any attempt to serve said warrant. This gives the C-I types a chance to get inside for a look around, survey the subject’s immediate environment; evaluate potential sources for information or surveillance; and develop possible leads from the interactions. My major concerns prior to the Anti-Terrorism brief were improvements made to intelligence sharing that was a significant breakdown in the 9/11 attacks. Former Agent Tomlinson addressed the improvements made since that fateful day. Patriot Act did away with the “stove-piping” of terrorism information between sources of foreign intelligence and all levels of law enforcement. Congress now requires annual presentations on how such intel is shared among the responsible national and local agencies. Stronger relationships with the financial and banking communities has improved as a way to identify financial backers of terrorism. 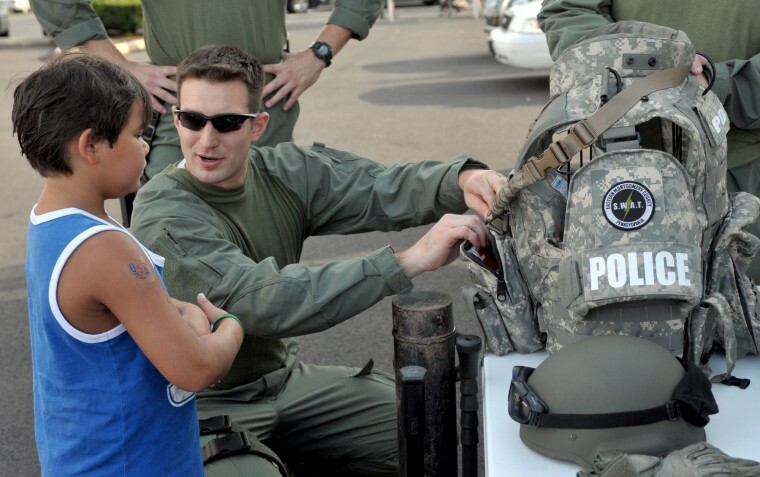 Local law enforcement is a more active player in counter-terrorism. Terrorism continues to be a serious threat across the globe. Despite relative inactivity in this country, largely the result of improved intelligence and counter-terrorism operations, the potential for terrorism – both foreign and domestic – occurring here cannot be ignored. Citizens can be the first to notice something amiss and are the best sources for local conditions and information. Never be shy about reporting suspicious activity or potential evidence of such to law enforcement. Let the experts decide what constitutes a legitimate threat. Overall the most important message from the evening was that the successful fight against those who want to do us harm – regardless of where that threat originates – is heightened awareness, improved communication from the individual citizen all the way through the highest national authorities, and self-less cooperation among all those involved. During the course of two sessions the Hatboro and Horsham Citizens Police Academy covered Crime Scene Investigations (CSI). Although I was unable to attend the first session, where Horsham detectives presented the framework of CSI work, do to more pressing matters. As a result, those observations come to you through the eyes of a fellow classmate, Emily Ann. The first CSI class was led by two of Horsham’s finest, Detectives David L. Bussenger and Robert J. Waltz. The second CSI session came two weeks later, led by Montgomery County Detective Richard J. Nilsen, Jr. of the Forensic Services Unit in the Office of the District Attorney for Montgomery County, PA. 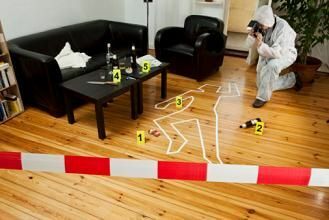 The purpose of CSI is to determine what happened and who is responsible. The ultimate goal is a proper “Guilty” verdict and punishment as set forth by the Court. The investigative process begins with the initial police contact. The first responding officers at any potential crime scene are responsible for rendering first aid and to summon an ambulance, if necessary. They must also note what they see, hear, and smell … Time of day, weather conditions, people and vehicles at the scene and that might leave before investigators arrive. Responding officers must also protect the crime scene from unnecessary traffic, disturbance, or contamination. Responders will listen for what might be said by people on the scene and must separate any witnesses isolated from one another. Witnesses are separated to prevent any comparison of their version of events and – if involved – to ensure they do not rehearse their stories. All observations are then passed on to the assigned investigators. The investigators will call upon additional specialists as needed. They include photographers, sketch artists, evidence recorders who maintain the “chain of custody” for all physical evidence, and experts from more specific fields of study … anthropologists, blood pattern analysts, and the medical examiner in cases of death. Physical evidence is the bread and butter of law enforcement investigative work. The chain of custody for that physical evidence is crucial to successful prosecutions. Proper chain of custody allows for the identification and description of all aspects of the physical evidence months or years after its collection. The chain of custody must be protected from any contamination and preventable degradation of biological samples. For that reason, the chain of custody must be able to prove that all evidence was properly preserved and kept properly secured from tampering until presented in Court during the criminal trial. Predictable physical changes in evidence, such as degrading tissue and blood samples cannot be entirely prevented. The potential for an investigator to cause changes in evidence through improper technique must be anticipated and prevented. Evidence recorders must be able to address anticipated changes in physical evidence (e.g. normal degeneration of blood and tissue samples) from the time the evidence is collected until it is presented in Court. Once investigators begin processing the immense amount of data from a crime scene, it’s important that they NEVER overlook the obvious. After all evidence has been collected, photographed and sketched, and all witnesses have been interviewed, investigators will compare their initial findings to ensure all observations and individual perspectives are included. Physical evidence does not lie. Let it tell you what happened. A hypothesis developed from the evidence and interviews is an important step. But an investigator can never be afraid to change the theory especially if the physical evidence indicates a change is appropriate. My friend, Emily Ann, described for me the highlight of that first CSI night … the crime scene adaptation presented by Detectives Bussenger and Waltz. Emily Ann described a burglary crime scene laid out for the CPA participants with an array of physical evidence, challenging questions put to the participants, and the interesting way the detectives explained how they process such a crime scene. Emily Ann found it interesting and quite instructive to see a crime scene laid out as an investigator might find it; and learning how they would go about weaving a theory from the physical evidence documented. But first Detective Nilsen had to blow away all my preconceived notions of detective work as I have gleaned from years and years of watching CSI: Miami/Las Vegas/NYC, eight different versions of Law & Order, and a healthy dose of Criminal Minds! Apparently, most everything I have come to believe in watching detective TV is a farce, perpetrated by television’s need to fit a weeks or months-long story into 44 minutes (sans commercials). 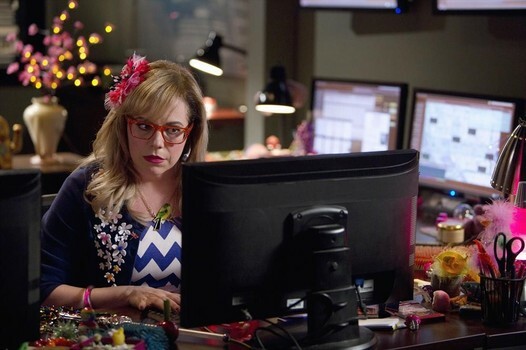 There is no Garcia pounding furiously on a computer keyboard and able to provide everything from hat size and favorite color to the specific location and contents of last meal eaten for every crime victim, perpetrator, and key witness privy to the macabre details of any violent crime. 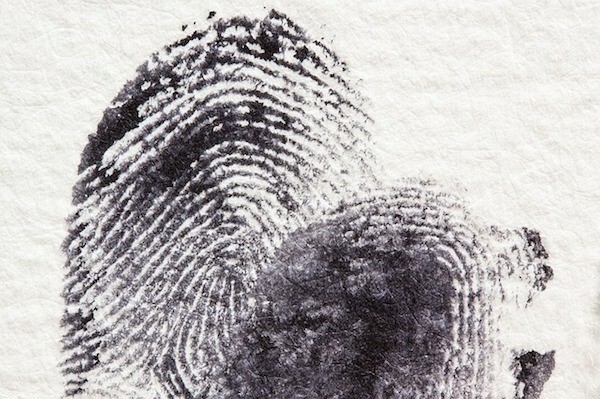 There is no magical finger-printing system that churns through potential print matches as a detective watches, then spits out the matching perp in the time it takes to fix your mocha latte. There is no crime lab that would let a regular detective jump right in, complete with a blue Tyvek hazmat suit to twiddle around with the DNA sequencing systems and scanning electro-microscopes (unless properly certified). 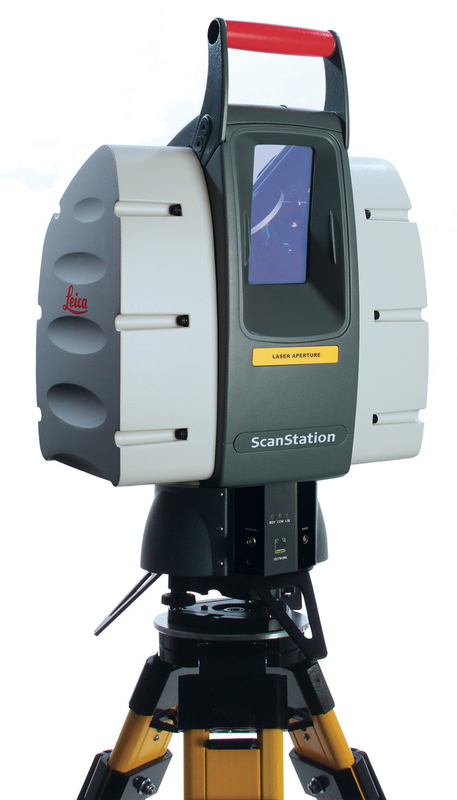 My personal “wow moment” was watching the animation generated by a piece of equipment called a Scan Station, a surveying type tool that provides a 360°, computer-generated survey of any potential crime scene. The equipment is so sophisticated that once scanned a detective can visualize a crime scene from any angle (above, below, any side), even from “outside” the scene, as was proven when the class visualized a particular crime scene from outside then “flew” in through a window to view the interior of a virtual crime scene depiction. Detective Nilsen, a former Lower Merion officer and Widener Law School graduate, also provided an in-depth look at fingerprint analysis and AFIS (Automated Fingerprint Identification System), the dynamics of projectiles (bullets), DNA and blood collection, and a case study in the arrest and conviction of Charles “Acme John” Eichinger, one of his first cases as a MontCo detective. Crime is definitely not a good long-term job choice! CPAs are popular all over the U.S. 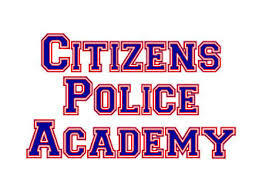 The most anticipated session of the Hatboro and Horsham Citizens Police Academy occurred two weeks ago with the presentation of Use of Force as it applies to the difficult duties of criminal arrests and preserving public safety. In the wake of recent controversies over the use of deadly force by police officers, I anticipated an extremely interesting presentation and lively discussion. The Use of Force presentation was provided by Officer Mike Peters, a veteran of the Horsham Police Department since 1988. The presentation began with the definition of Use of Force, which was mind-opening from the perspective that there is no single definition of Use of Force that’s generally accepted by police or other experts in the field of law enforcement. For the purposes of our seminar the standard cited by the International Association of Chiefs of Police was used. The amount of effort required by police to compel compliance by an unwilling suspect. From there the discussion moved to several key United States Supreme Court (USSC) cases, specifically Tennessee v. Garner and Graham v. Connor. Tennessee v. Garner involved a fatal police shooting of an unarmed burglary suspect who was attempting to flee from arrest. A federal Court of Appeals overturned a lower court’s ruling against the shooting victim’s father in a $2 million lawsuit, citing the shooting as an excessive and unreasonable means of effecting Garner’s arrest. Graham v. Connor involved the forcible arrest of a man exhibiting erratic behavior, including an apparent shoplifting, while in the throes of a diabetic attack. Although officers had restrained Graham forcibly, he had been released as soon the true basis of the incident and Graham’s behavior were determined. However, Graham still took police to task for the use of excessive force. Both cases led the USSC to begin to identify those circumstances where force can be used appropriately. As in Tennessee v. Garner, the Court has stated rather clearly that deadly force should only be used on a fleeing felon who poses a significant threat of harm to others. In Graham v. Connor the USSC ruled that use of force should be applied under the “reasonableness standard” of the Fourth Amendment. Law enforcement need not retreat from efforts to effect an arrest because of resistance or violence. Officers are justified in using such force as they believe necessary to make an arrest; to defend themselves; or to protect the public in the course of their duties. Deadly force is authorized only when the officer believes such force is necessary to prevent serious injury or death to themselves or others. Officers are authorized to use force, including deadly force, to prevent the escape of any prisoner from a correctional facility. 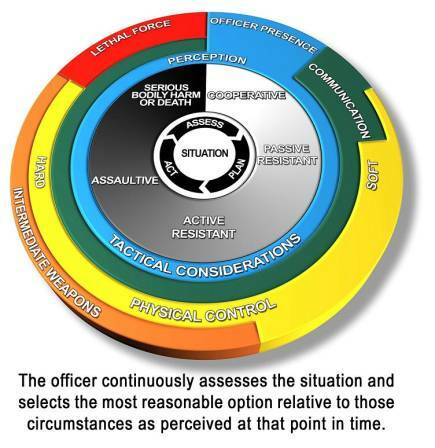 The process by which the officer’s belief that force is necessary is articulated in the Use of Force Report. These are used widely throughout the country to document an officer’s perspective in a use-of-force incident. Approach or why contact was initiated; reasonable suspicion, probable cause, warrants, disturbance call, etc. Conditions of the subject: mental, emotional, drugs/alcohol, crisis, control, etc. Evaluation of use-of-force incidents will include all evidence and the perceptions of the officer(s) involved as expressed in interview and on the Use of Force report. In addition, such evaluation will look at physical comparisons between the subject and officer (size, weight, gender, skill level of subject); specifics and limitations in the physical location, the subject’s perspective if available, steps of escalation and de-escalation, etc. Obvious principles in the use of force normally apply during an arrest for known or suspected criminal conduct, which can occur under circumstances of reasonable suspicion; probable cause; or known wants and warrants. Arrest can only be achieved when the subject/suspect is under control. An often overlooked aspect of any use of force incident is the suspect/subject’s frame-of-mind and willingness to obey lawful commands. Often this decision is clouded by alcohol, drug use, mental instability, or their mindset towards authority. The goal of any confrontation is to exert control. An officer must have the mindset that he must win such confrontations 100% of the time (self-preservation), while considering the likelihood of establishing control vs. the potential damage to the subject. Finally, the use of force frequently escalates and de-escalates several times in the course of one confrontation. At this point, I have to be honest in my disappointment at the way the use of force presentation was structured. This was the one presentation to which I was most looking forward; and I was disappointed for several reasons. My primary disappointment was in the lost opportunity to have a frank, open, and honest discussion among a somewhat diverse audience that appeared extremely interested in the topic, particularly given recent controversies over police confrontations in places like Ferguson, MO and New York City. My opinion, which I expressed to one of our instructors, was that too much information was crammed into this session, in part due to the inclusion of a presentation on active shooters which followed. My suggestion was that Use of Force should be the lone topic for the evening with a suitable portion of the session dedicated to open discussion. I believe this would serve as an opportunity for the instructors to provide their own most personal viewpoints and to instill a level of confidence in the public to whom these sessions are intended to reach. To underscore this, I spoke to one of my fellow CPA attendees, a Liberian immigrant, who I discovered has been driving to Horsham from Northeast Philadelphia (roughly a 60-90 minute round trip) simply for the opportunity to learn and understand more about the role of law enforcement and the community-cop relationship. Lawrence framed the issue from his perspective in one way that confirmed some of my own opinions about the community-cop relationship and race. He described his general experience with the police by stating that his limited interactions were much more contentious when a black cop was involved. I took that to mean that for him it is more an issue of authority than race. And that’s one crucial element of the community-cop relationship that might have benefitted from an open and honest classroom discussion on Use of Force. The second half of the session was a presentation by the seminar’s work horse, SGT Pete Van Dolsen, Hatboro PD, that addressed Active Shooter situations, such as those at Columbine HS in Colorado (1999) and Virginia Tech University (2007). The events are often well-planned by the perpetrators. The shooters are very mission-oriented and as a result appear to remain very calm among the chaos they create. Prior to the calamity at Columbine, the police strategy in active shooter incidents was to surround, organize, then overwhelm the shooter(s). Unfortunately the carnage at Columbine and the realization that in such incidents a death can occur every 8 seconds, changed that approach to one of immediate entry, search, confront, and arrest/neutralize. The examples cited, going all the way back to the University of Texas clock tower shootings in 1966, illustrate that the quicker law enforcement engages the shooter, the sooner the killing of innocents stops. There is no more time to kill when you are trying to evade capture or the aggressive suppression by trained officers. In most cases, the shooter ends up killing themselves or completing their plan through suicide-by-cop. In any case, aggressive police intervention changes the dynamic dramatically. The shooter becomes focused on the police intervention. One startling fact offered was the frequency in which shootings at schools has escalated. Between 1966-96 there were 15 reported school shootings. In 2013-14 there 17! After several workplace shootings, my employer began offering training in surviving potential active shooter situations. The need for this training was underscored in 2013 with the mass shooting that occurred at the Washington Navy Yard. If unable to flee, shelter in place preferably in a room with a door that locks without a window. If sheltering in place, make certain to follow all law enforcement instructions regardless of your state-of-mind or your assumptions of the shooter’s status. Responders may not be convinced that all shooters are in custody or neutralized. If cornered with no escape path, fight with whatever is available. And so ended a very long night of rather depressing subject matter. Session 3 of the Hatboro and Horsham Citizens Police Academy (CPA) dealt with District Courts, the most local of courts in the Commonwealth of Pennsylvania judicial system. The seminar was provided District Justice Paul N. Leo, Magisterial District 38-1-14, located in Hatboro, Pa.
Justice Leo was a police officer in the Upper Moreland Police Department. He has been elected to his third term (six years each) on the District Court. In addition to giving his time to the Hatboro and Horsham CPA, he provides instruction at the Montgomery County Community College Municipal Police Academy. In this capacity, the Honorable Justice teaches police cadets the basic and finer points of criminal law and the legal system. Frankly, the law – like economic theory – tends to make my eyes water and ears bleed. Judge Leo was able to make the legal system – as seen through its basic, most local interaction with the average citizen – both interesting and relatable. Click here: Pennsylvania Unified Judicial System for an extremely informative, interactive presentation of the PUJS pyramid style organization. In District Court, Judge Leo is responsible for hearing criminal arraignments and deciding – on prima facie grounds – the likelihood that a crime has been committed and whether the alleged perpetrator should be held over for trial or if bail should be set (except for cases involving murder and voluntary manslaughter that automatically go before the Court of Common Pleas). He also decides which criminal cases are sufficiently serious for Court of Common Pleas. In addition, Judge Leo hears all civil cases in disputed amounts up to $12,000., summary offenses and municipal ordinance violations. The hierarchy of offenses in the criminal code that range from Summary and Misdemeanor (Classes 1-3) offenses through Felonies (Classes 1-3) and Super Felony charges for drug dealing and abuse of a child. One of the more interesting topics was a discussion of the “four corner” concept in the presentation of Probable Cause, which is normally the responsibility of an arresting police officer. The concept requires that all facts and evidence substantiating an arrest and the alleged commission of a crime or violation must be contained within the four corners of any document submitted to The Court, particularly in criminal matters. The concept places the onus for documenting any violation or crime on the arresting officer. It requires a meticulous attention to detail and relies on the ability of the officer to properly articulate all important facts and supporting information without providing the Defense an easy out on technicality or substantive error. As you can imagine, some of the stories related on this issue and others, gleaned from years of experience on the bench were enlightening, troubling, or downright funny. The impression one gets is that a day on the bench cannot be confused with a day on the beach; but it does have its moments. The judge related several issues of frustration. One was on the parade of repeat offenders or “frequent fliers” whose experience in the legal system rivals that of the judges themselves. 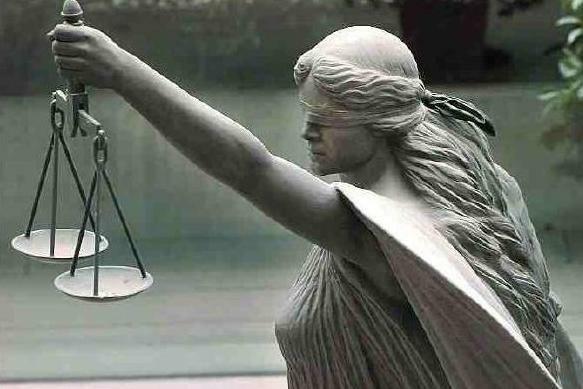 Too often repeat customers of The Court know all too well the gradual escalation of court action and sanctions; and they are able to “game the system” to maintain their freedom right up to the point where serious action and incarceration might occur. The saddest problem involves the redundant appearance of domestic violence victims, who often refuse to testify against a significant other repeatedly over separate incidences of abuse. It’s a long-standing and difficult problem with no easy or simple solution. The worst part is that it can eventually become a matter of life or death. 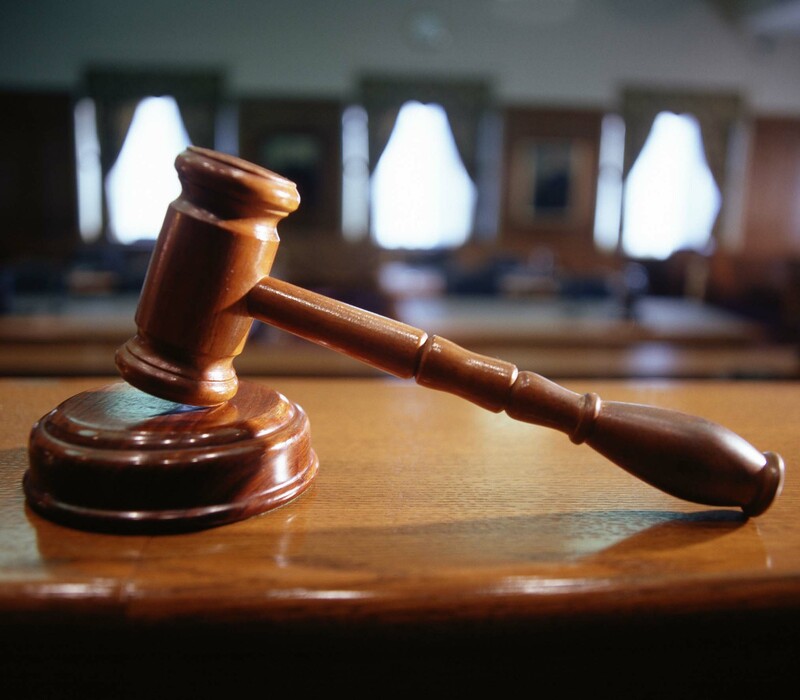 Conviction rate for jury trials in Montgomery County is 87%. Video arraignment systems now available at incarceration sites and to The Courts is saving much in the way of costs and in freeing police officers and sheriff’s staff for other duties due to the removal of transportation complications. Overall, Judge Leo did an excellent job of explaining – in mostly laymen terms – the conduct, operation, and expectations a participant might have of an interaction with the Minor Courts of Pennsylvania. It’s difficult to make discussions of law sound very interesting to the man on the street. Judge Leo made it interesting and well worth the time spent listening. At some point, I plan to take the good Judge up on his open invitation to observe his court in action. All courts, including local Magisterial District Courts, are open to the public. Judge Leo’s court is located just south of “downtown” Hatboro, as part of the Victorian Village complex at 420 S. York Road. The Judge recommends calling (215-957-5935) for The Court’s schedule before stopping in to observe the local court at work. The Magisterial District Court for Horsham (38-1-22) is operated under District Justice Harry J. Nesbitt III, and is located at 903 Sheehy Drive, Suite A, Horsham, PA 19044 (215-675-2040).